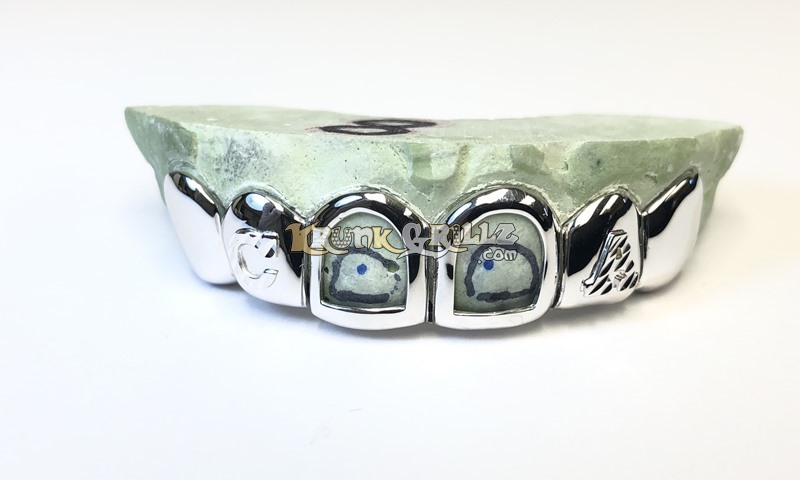 Custom fit grillz shown in yellow gold. You can have a 3-Dimensional letter on each lateral incisor. The front two teeth are cutout with polished border. Draw us the letters and layout and include with your mold.